Deanne Schmidt serves as the lead college access specialist for the P4K team. Her main student focus are P4K’s first and second year college students. Deanne also works with the agency’s participating high school juniors and seniors to ensure they have the necessary preparatory tools they need to pursue a post-secondary education. Her responsibilities are varied and include providing case management, peer mentoring support, job readiness and career exploration opportunities and other resources to P4K post-secondary students as needed. She says the part of her job that really motivates and excites her is knowing that she is working for an organization that is making such a positive impact on so many students’ lives. 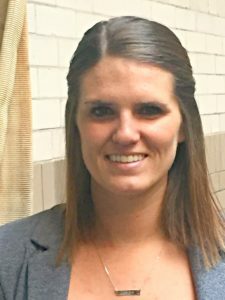 Deanne has a bachelor’s degree in social studies education from St. Olaf College in Minnesota and a master’s degree in public administration from University of Nebraska at Omaha. Prior to joining the P4K team, she worked as a high school coach for College Possible and Hunger Free Heartland, where she addressed childhood food insecurity in the city of Omaha. When she isn’t working, Deanne is a local sports fan and enjoys attending Husker football and Maverick hockey games as well as the College World Series tournament. She also enjoys cooking, reading, being outdoors and binge watching Netflix television series.